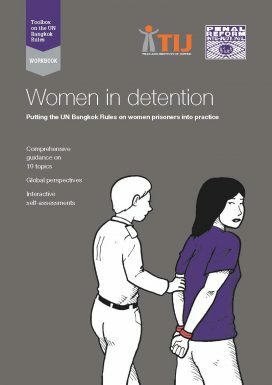 This training resource has been designed to support stakeholders to put the UN Bangkok Rules on women offenders and prisoners into practice. It draws on global good practice and research findings to provide practical guidance, using exercises and case studies. for women offenders and prisoners and apply them in your professional role. end-of-module quizzes to assess your understanding. While the Workbook has been designed as a self-learning tool, it can also be used as part of group training sessions. It is designed for prison staff, policy‑makers, healthcare practitioners, representatives of intergovernmental and non-governmental organisations, and other interested stakeholders. This course is also online!